TOP golf coach Christina Ricci clearly demonstrates in this golf tip video the importance of the trailing elbow in getting more distance with your swing. More distance with effortless power and less tension in the golf swing? That’s what we’re all after. AS every golfer should be more than aware: most of the important golf scoring shots happen from 100 metres to the tee and in. THERE are a number of methods older golfers can use to improve their golf games and here US Top 50 Teacher Don Peterson shares his 5 best tips for senior golfers to swing better and hit longer drives. WITH Peter Senior now retired from the international golf scene Craig Parry is our lone representative on the US Champions Tour. Here's a great video of Parry talking about golf practice. 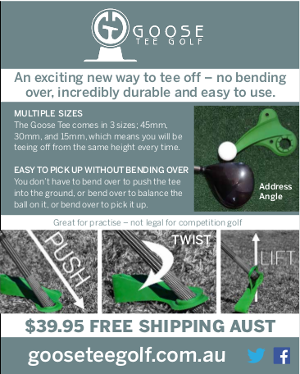 WITH the world’s best golfers about to take on the punishing Oakmont Country Club greens for the 2016 US Open it’s a good time to talk about putting – and getting rid of the dreaded three and even four putts.